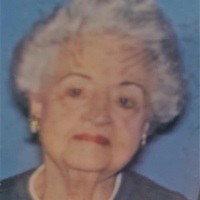 Joyce Pace Fuller, 93, of Wildwood, passed away on January 16, 2019. She was a decedent of the Pace family, which was one of the pioneer families of Dade County. She was a longtime member of Brainerd Baptist Church, and the Love Sunday School Class. She was preceded in death by her husband, William Ray Fuller; son and daughter-in-law, Bill and Sue Fuller; and parents, Edwin and O’greeta Ballard Pace. Joyce is survived by her daughters, Greeta (Phil) Waycaster, of Cleveland, Martha (Wayne) Turner, of Chattanooga and Tamarah Fuller, of Nashville; five grandchildren; six great-grandchildren; sister, Judy (Bob) Forester, of Dalton; brothers, Ed (Jean) Pace, of Rogersville, Tn. and Charles Pace, of Dalton; and several nieces, nephews, cousins, and friends. Graveside services will be held at Chattanooga National Cemetery at a date and time to be determined. In lieu of flowers, donations may be made to The Salvation Army. Please share your condolences at www.moorefuneralhometrenton.com. Arrangements by Moore Funeral Home, Trenton.